In a cup of coffee or an espresso, the crema – or layer of creamy foam – is considered more than just an aspect of the texture of the drink: it is one of the keys to the sensory experience of drinking coffee. Here, sensory assets or attributes come into play, the organoleptic characteristics that give different coffee varieties their sensory specificity and which are so valued by consumers. Indeed, there are scientific studies that show that the quantity and quality of the crema affects the in-mouth perception of the organoleptic notes of this beverage, one of the most chemically complex we consume. However, are we capable of perceiving the subtleties of aroma, texture and flavour of the different coffee varieties? For most of you reading this article with a cup of coffee in your hand, the answer is probably no. But for a person specially trained in sensory analysis, a single sip of coffee can evoke up to 110 different sensory attributes. This is what the World Coffee Research Association has determined, in collaboration with the Sensory Analysis Center at Kansas State University. According to this reference guide, which has been updated after 20 years, in addition to the basic tastes (sweet, sour, bitter and salty) a coffee may contain, for example, notes of walnut, vanillin, olive oil and even tobacco or mold. These sensory attributes can cause us to prefer one type of coffee or another. Although this publication is the result of the consensus reached by a team of over 100 scientists, sensorial analysts and professional coffee tasters, the Sensory Lexicon is not definitive; rather it is an evolving document. It is open to growth though new proposals for sensory assets, always with the prior approval of the association. What is a sensory lexicon and what’s it for? A lexicon is a vocabulary of words used to describe the organoleptic notes of a given category of food or beverages. In fact, when we carry out a project at Sensory Value, our SensoExpertLab selects those attributes of the lexicon that are applicable to the set of products in the projects in question. The sensory panel tests the different product samples and decides which descriptors best explain the differences between what they have tested. We have more than 500 references in our sensory library to train our panellists in the use of these descriptors. Experts predict that climate change and new pests and diseases in coffee plantations, coupled with the high demand of the industry, will result in the disappearance of some varieties in the coming decades, such as Arabica coffee, one of the most appreciated for its sensory qualities. Therefore, this Sensory Lexicon is intended to provide a basis for the scientific research already being carried out to develop a new generation of coffee varieties, with higher resistance and quality, for cultivation in the 21st century. When you drink your next capsule coffee or Italian coffee, and savour its nuances, remember this post. What did you like the most about the coffee? A fruity or floral touch, hints of cocoa or spices…? 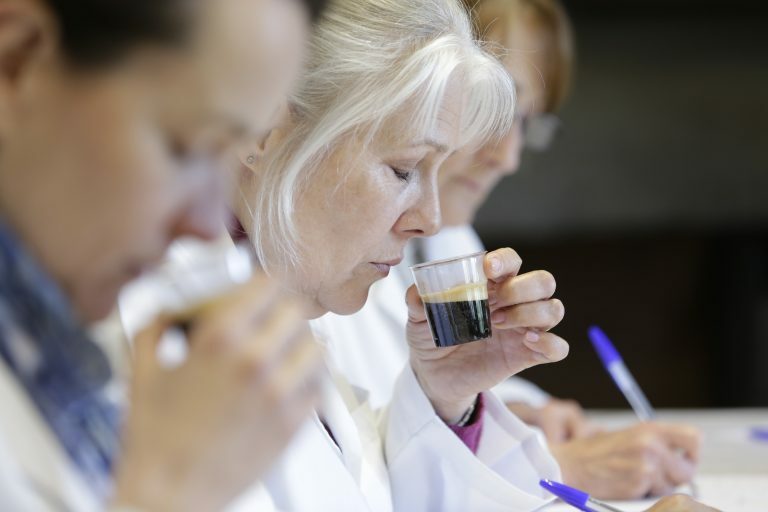 What are the organoleptic properties of coffee most liked around the world? We invite you to write in as a consumer using this LinkedIn virtual conversation on the Sensory Value page. We are looking forward to reading your comments! And very soon we’ll be able to reveal the answer. No Replies to "The future of coffee is sensory"